Java-Gaming.org > Games Center > WIP games, tools & toy projects > NAME ME!? 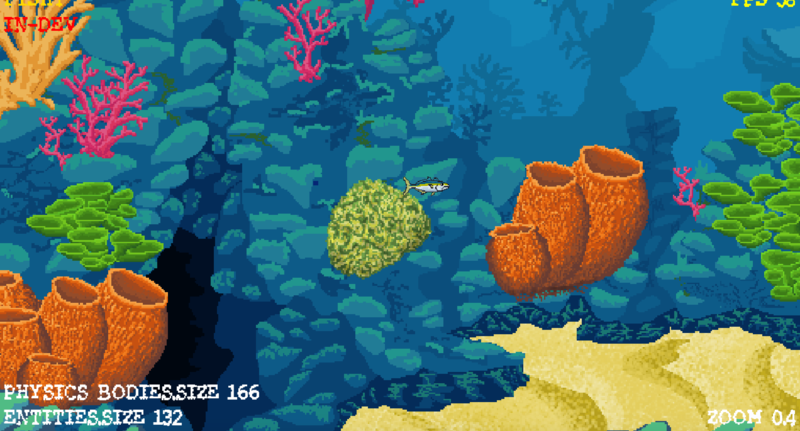 The environment is wet and harsh, the rules of this underwater food chain is clear; eat or be eaten. Spawn as small albacore (Thunnus alalunga) or, as the many other creatures that also occupy this ocean see you as, an easy f**king munch. The food chain in this environment is dictated not only by size, but wit and use of environment and abilities. 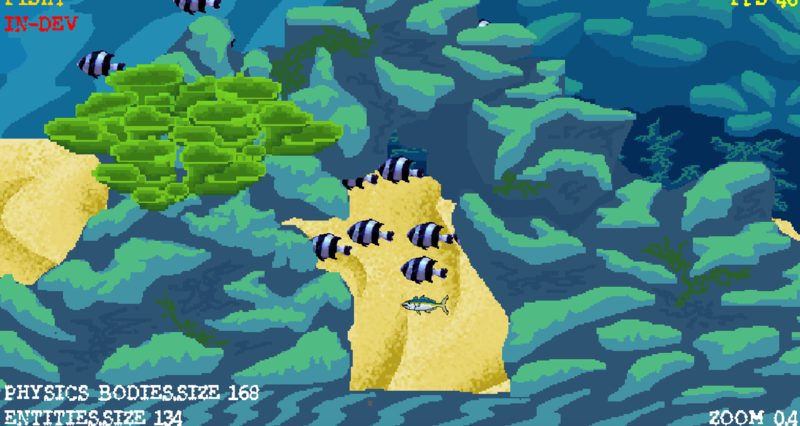 There are many reef fish that populate the abundant kelp and coral, such as Damsel (Pomacentridae) and Angel fish (Pterophyllum). Others prefer the open water. 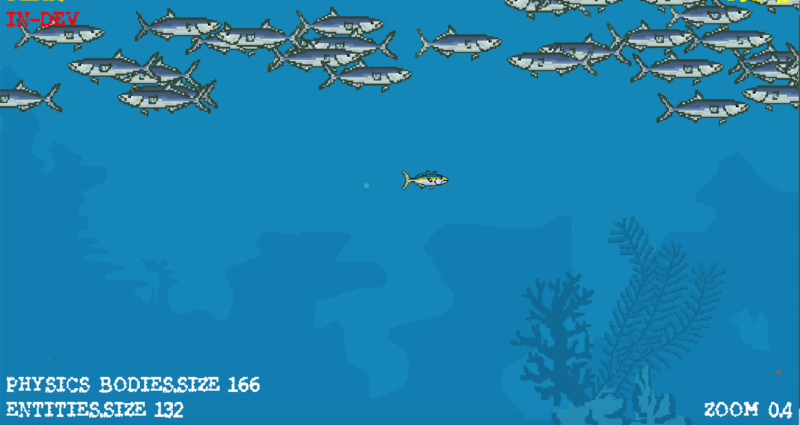 Tuna (Thunnini), Swordifsh (Xiphias gladius) and whales pass over the reef individually in a brave dash, or in larger pacts to avoid even larger predators. The smell of blood travels quickly underwater, they say, as sharks and other fish at any moment could take your pray. Eels (tobacco hornworm) lurk under the sand and rockfish disguise themselfs as small rocks . 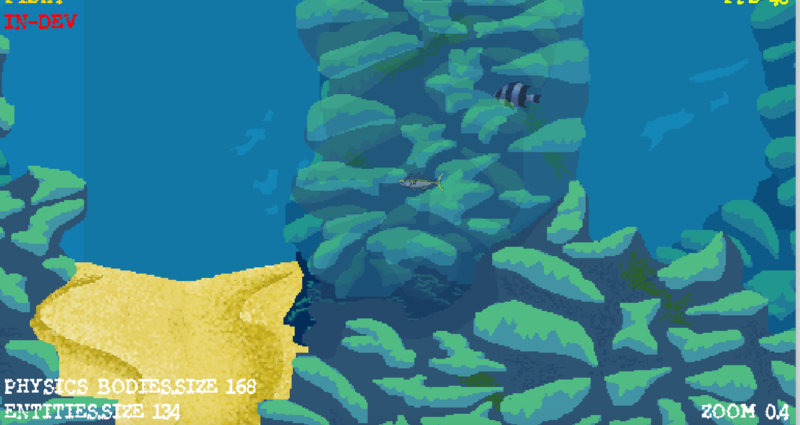 Use your environment to your advantage as your fight your way up the food chain and subsequently deeper into the ocean. Almost everything that can swim, will probably try to eat you. Then again, the climbing perch (Anabas testudineus) fish doesn't need to swim. So far this game does not have a name yet. It is a 2D sidescroller made by me and my friend in a short amount of time so far with our goal being a completely free to download IOS game. Everything you see is IN DEVELOPMENT. 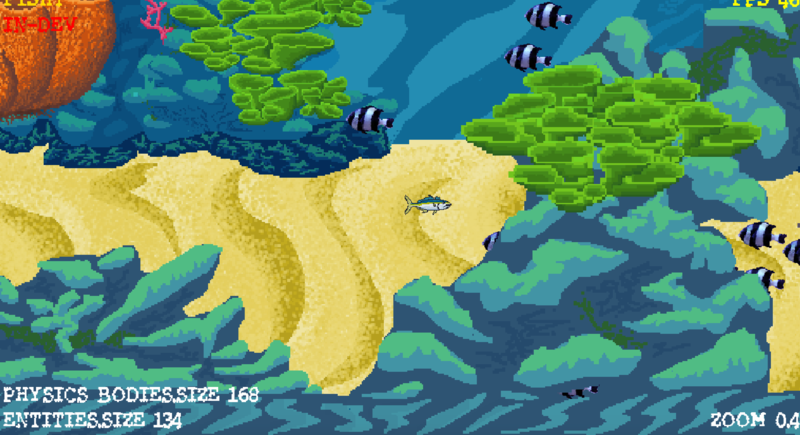 Think a fishy-like game with complex enemies, a lush handrawn environment and items to visually augment and change gameplay upon each play. Any thoughts on the art or idea so far? Or on a possible name? Thank you for looking.